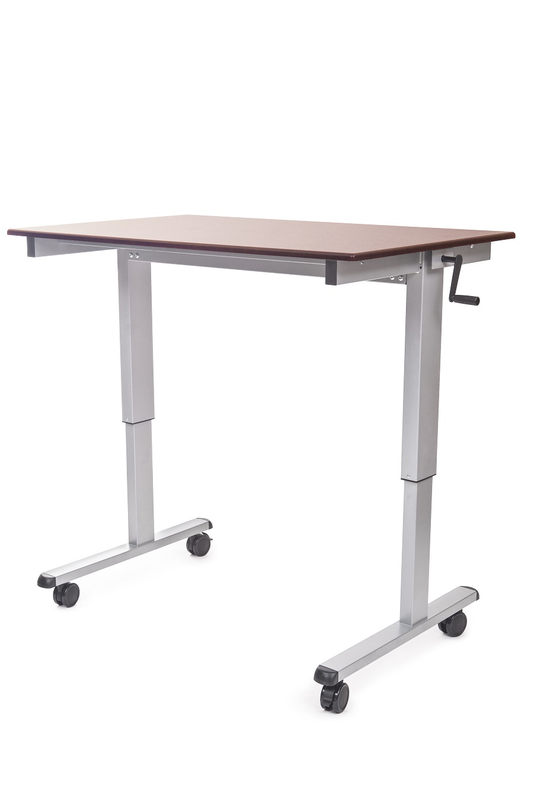 The Luxor Innovative Sit to Stand adjustable crank desk, it's easy to achieve long lasting health benefits like burning more daily calories, boosting productivity, improving posture and reducing risk of heart problems. The crank allows for effortless adjustment from sitting to standing. Perfect for desktop, laptop or tablet computing. Mobile and adjustable to meet your everyday needs. It has a durable steel frame with powder coat paint finish. Is easy to maneuver with four 3" furniture casters two with locking brakes. Includes all hardware and tools required for assembly.